Always wanted to try your hand riding a bike? 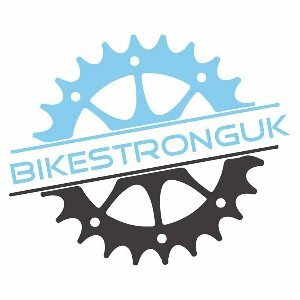 want to enter a sportive or race? Then this is the perfect plan for you! the complete novice! Try our sofa to your 1st Sportive plan! It is ideal for the complete cycling novice who is currently sofa bound and not used to much activity and is looking to start cycling for health, fitness, recreation, commuting or to tackle a challenge or charity ride. Main session is a 3min Maximal Output Test Turbo or road time trial. This is to not only see progression from last time you tested but also checking short duration power. Another great bench mark for improvements we can use. E2 Aerobic Endurance Used for Aerobic maintenance and endurance training. use zones 1 and 2on a rolling course and stay seated on all small rises. Warm up vigorously with a few shirt maximal bursts. - 4 x 10 sec sprints with 3 min recoveries all maximum. - 4 x 20 sec sprints with 3 min recoveries all maximum. - 4 x 30 sec sprints with 3 min recoveries all maximum. Fast paced ride, try and do it outside. Just give it some stick for an hour and a quarter. Gradually increase your RPM until you start to "bounce" in the saddle and at this point you start to reduce your cadence slightly so that you no longer bounce. Sustain this higher cadence for 3 minutes before gradually slowing back down to your normal rate for 5 minutes before trying again, aiming for 4 sets or more over the course of your ride. Rest or spin Z1-2 really easy Rest - Focus on other aspects, core/diet/stretching etc but if you have time and want to loosen up then just do 45mins to an hour really easy ticking over. Warm up for a minimum of 10 minutes in Z1/2. 6x 30 second seated accelerations. For the accelerations find a well surfaced flat road and decelerate to around 10-12 mph and choose a large gear, ~53:13. Gripping the bars tightly and holding your core steady wind the bike up to speed until you reach around 80 rpm or you finish the 30 seconds. The aim is to really concentrate on correct muscle engagement in the first half of the effort until the cadence is above 70. After the effort take a 5 minute recovery in Z2. Take 10-15 minutes of spinning at 95+rpm in Z2 to warm down. To ensure maximum benefit, make sure you have approximately 20 grams of high quality protein as soon as possible following the ride.